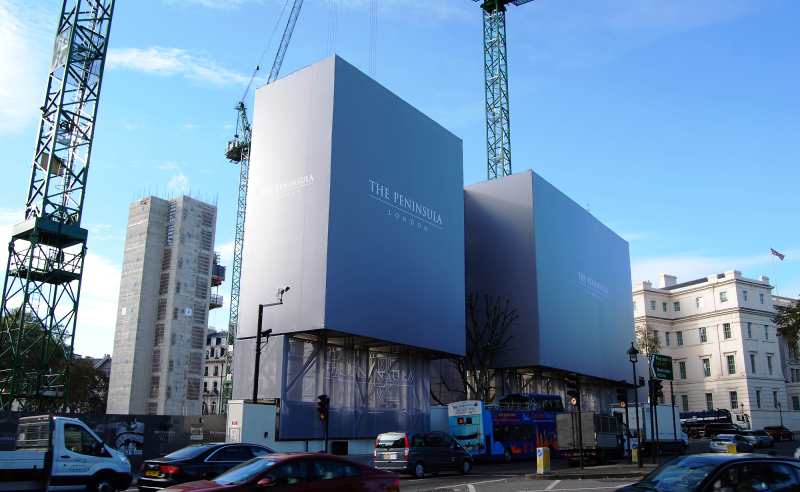 Nationwide building wrap & site hoarding professionals. 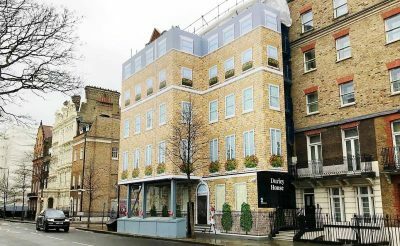 Working building wrap, scaffold structures & site hoardings can be so much more than functional elements of the build process. Convert them into high impact decorative scaffold wraps & creative printed site hoardings which are powerful and effective marketing tools. Conceal, disguise or advertise your project. Full project management, creative design, print, install, maintain & removal services. Embrace Building Wraps are the UK’s trusted & leading provider of large scale building wraps and printed site hoardings. Whether you are looking for a high-quality printed scaffold wrap, scaffold screen, scaffold mural, scaffold cover, building wrap or printed site hoarding we are sure to have the right solution for you. With decades of experience & the skill sets in place we have your project covered. Our expert team of project managers, engineers, designers, manufacturers and installers will be able to deliver a high quality, durable installation to meet your specific needs. 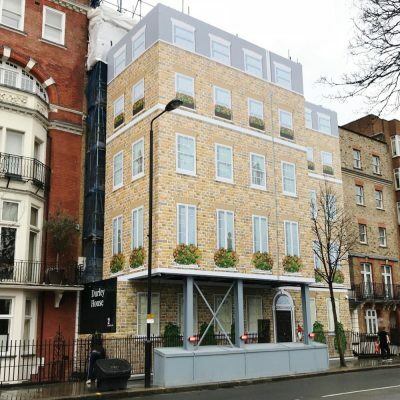 Change the appearance of your development from a busy working building site to a stunning, visual treat for the eyes which will get passers-by talking for all the right reasons. 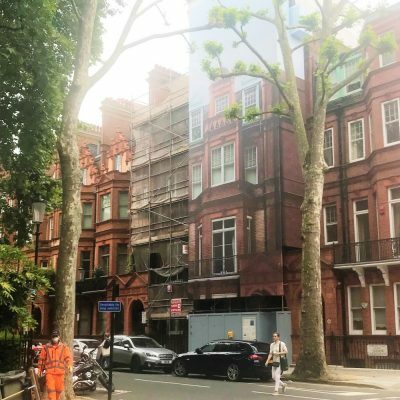 You may choose to discretely conceal the works in a solid colour scaffold wrap, replicate the overall appearance of the building whilst disguising the scaffolding with a trompe l’oeil illusion in art, CGI render or scaled photographic design. Full colour large format digital print is used to trick the eye into perceiving the detail as a three-dimensional object. Or promote key brand and marketing messages as an advertising hoarding to the passing pedestrian & vehicular audience. With any Embrace project you can relax as we appoint a dedicated project manager who will oversee & coordinate all stages of the process for you. They will keep you fully up-to-date as and when you want and act as your single, fully informed point of contact. We are with you every step of the way, from the initial site survey to completion and removal. They will generate the necessary risk assessments & method statements, detail production specifications, arrange all site access & required permissions and manage all work schedules leading up to the installation. Of course, your project manager will arrange the print and delivery of media to site, installation, install certificates and final sign off with you. Simply, there is no need to worry – we have got all bases covered for you. With decades of operational experience on high profile, ground breaking & complex projects, we are mindful each project is different.  From the first enquiry our team of professionals will identify potential issues using our comprehensive operational check-list of over 40 questions. From this we know what may come up or may not have been considered. We deliver a seamless one-stop solution. Our unrivalled experience as building wrap printers and one of the leading advertising hoarding companies in the UK, underlines why we are the go to organization for delivering projects of any scale on time and on budget. We offer a full range of installation options at fair, well-managed prices. There is nothing worse than commencing any project and then seeing unexpected costs start to creep in. Rest assured that is never going to happen with Embrace. 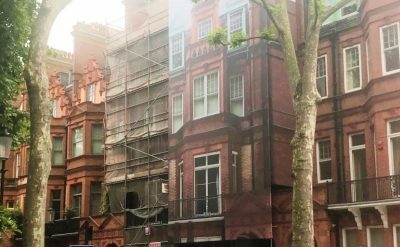 We will always provide a full detailed quote once we have completed the site survey for the design work, printing and the managed installation of your scaffold banner. We guarantee that this will be the final price that you will pay, unless you need to change the scope of works. That’s it, no nasty surprises. We always put corporate responsibility and sustainability at the heart of every scaffold wrap & site hoarding project we manage. Our removal service ensures the environmentally responsible disposal & recycling of all the PVC we use. Ask your project manager about our Banner Karma initiative & from this year onwards we will be donating funds to coolearth.org the non-profit organisation that works alongside rainforest communities to halt deforestation & its impact on climate change. Embrace offer outstanding service, quality materials and a full range of installation options at fair, well-managed prices. With us the total price we quote following the site survey for design, print and installation of your scaffold advertising banners or hoarding graphics will be the price you pay. Embrace Building Wraps, we have your project covered. Contact us today on 0845 258 5558. 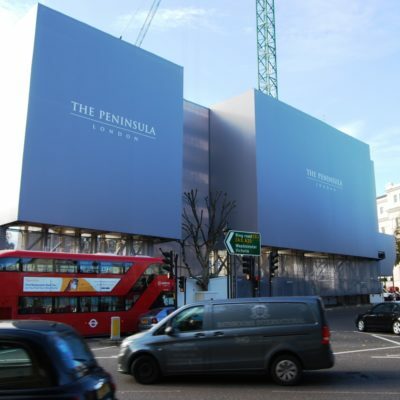 Wrap unsightly structures & improve the working sites aesthetics for good neighbour relationships. Trick the eye with computer generated tromp l’oeil images that hide working scaffold frames. We are with you all the way, from the initial brief to project completion. 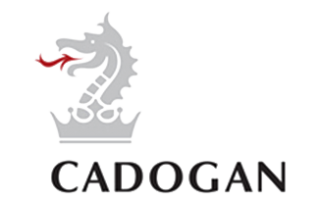 Your project will be managed by a dedicated Operational Account Director who will coordinate everything for you. We are mindful each project is unique. From the first enquiry, our team of professionals will identify & provide a solution that over delivers your expectations. Our decades of operational experience on complex, high profile and ground-breaking projects pays dividends and save you time. If you need us to bring ideas to life, our in-house design team is available to create CGI’s or a sales message with a big punch. We have previously received permission to work at notoriously restrictive locations including Crossrail & Heathrow Airport. On the retail side of the operation we work with brands like Selfridges, John Lewis & The Lexicon in Bracknell. We work with a variety of businesses on installs of all shapes and sizes, so scale to us is irrelevant; it’s delivering a great looking project that matters for all our clients. We are with you all the way from initial brief to project completion. Tell us about your project today and let us bring your ideas to life.